YAY! 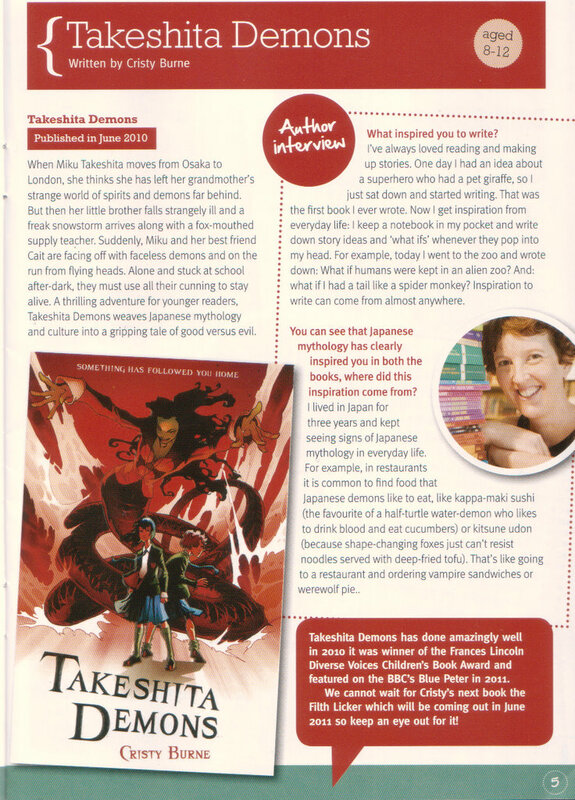 Takeshita Demons was recently featured in Read it! magazine, put out by Books etc and Published World to encourage reading for all ages. The Read it! magazine is FREE and part of a fundraising scheme for UK schools, where 5% of total book purchases goes back to the school. There are heaps of cool prizes you can win, puzzles, articles, author interviews and more. This issue includes articles on World Book Day, dyslexia action, Reading for Life and more. Plus you can win DVDs and books and read some great reviews. Takeshita Demons has done amazingly well. 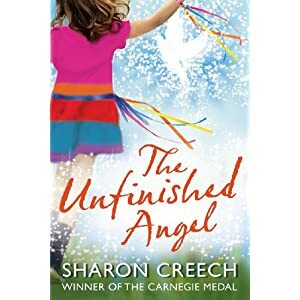 In 2010 it was the winner of the Frances Lincoln Diverse Voices Childrens Book Award and featured on the BBC’s Blue Peter in 2011. We cannot wait for Cristy’s next book, the Filth Licker, which will be coming out in June 2011 so keep an eye out for it! When Miku Takeshita moves from Osaka to London, she thinks she has left her grandmother’s strange world of spirits and demons far behind. But then her little brother falls strangely ill and a freak snowstorm arrives along with a fox-mouthed supply teacher. Suddenly, Miku and her best friend Cait are facing off with faceless demons and on the run from flying heads. Alone and stuck at school after-dark, they must use all their cunning to stay alive. A thrilling adventure for younger readers, Takeshita Demons weaves Japanese mythology and culture into a gripping tale of good versus evil. I’ve always loved reading and making up stories. One day I had an idea about a superhero who had a pet giraffe, so I just sat down and started writing. That was the first book I ever wrote. Now I get inspiration from everyday life: I keep a notebook in my pocket and write down story ideas and ‘what ifs’ whenever they pop into my head. For example, today I went to the zoo and wrote down: What if humans were kept in an alien zoo? And: what if I had a tail like a spider monkey? Inspiration to write can come from almost anywhere. You can see that Japanese mythology has clearly inspired you in both the books, how did this inspiration come about? I lived in Japan for three years and kept seeing signs of Japanese mythology in everyday life. For example, in restaurants it is common to find food that Japanese demons like to eat, like kappa-maki sushi (the favourite of a half-turtle water-demon who likes to drink blood and eat cucumbers) or kitsune udon (because shape-changing foxes just can’t resist noodles served with deep-fried tofu). That’s like going to a restaurant and ordering vampire sandwiches or werewolf pie. Tags: publicity, review | Permalink. “Do you like floating heads and evil spirits? Then you will love this horror adventure! Spooky demons invade Miku’s school and kidnap her brother Kazu. Can she and her best friend Cait rescue him? Dare to peek? Download a PDF Takeshita Demons sneak peek. Tags: announcement, Blue Peter, publicity, review | Permalink. 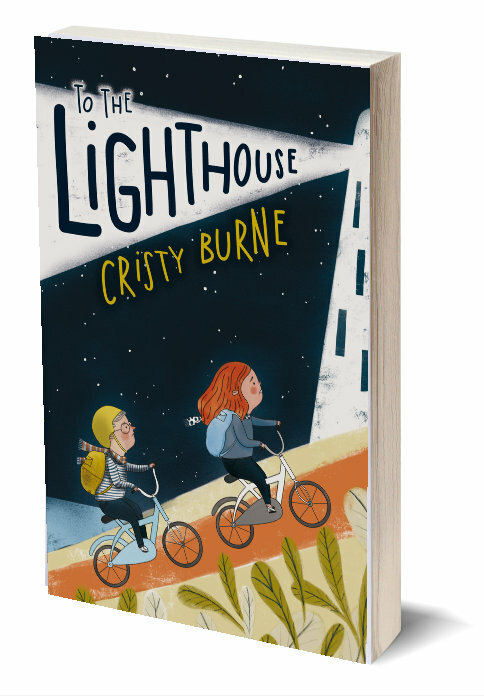 This rollicking ride by Perth-based author Cristy Burne is totally deserving of the Frances Lincoln Diverse Voices award for 2009. Take a young Japanese girl, Miku, who is protected by her Baba, and the family’s zashiki-warashi, move her to England and watch out for the demons who have followed her and her family. 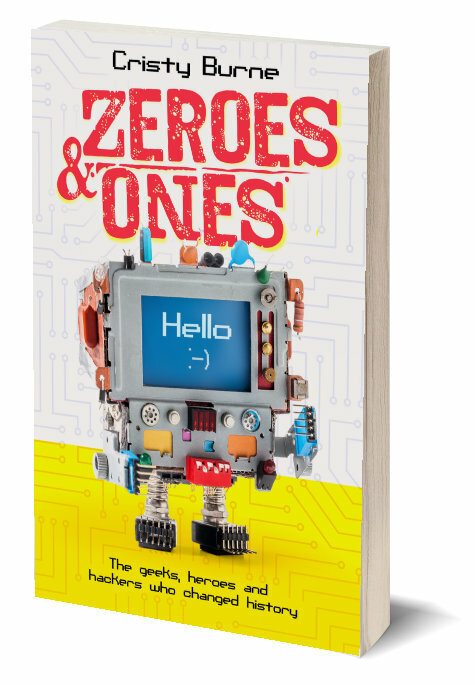 This exciting, intriguing story is aimed at 8 to 12-year-olds but captures adult attention very quickly. This is not a happy book about ‘teddy bears and bunny rabbits’, more about a Japanese teenage Lara Croft. Watch out for the next in the series. 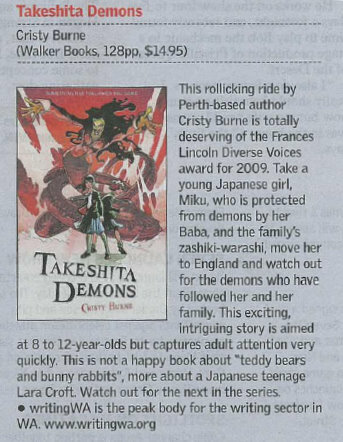 This awesome review of Takeshita Demons was in Tuesday’s West Australian newspaper. Thanks to the terrific team at Writing WA! Japanese culture has influenced this first instalment in what is set to be a trilogy of books featuring Japanese character Miku and her family. 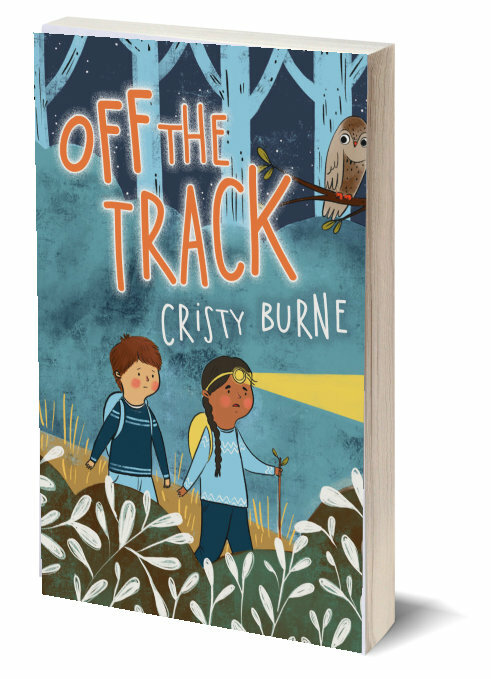 Debut Australian author Cristy Burne has lived for several years in Japan, where she grew interested in the local folklore; she now lives in Perth but curiously chose to set her trilogy in England. The book features black-and-white manga-style illustrations by UK illustrator Siku. Twelve-year-old Miku narrates the story, which beings with her family’s move to England – followed by some yokai or demons. Then her substitute teacher turns out to be a child-eater, her little brother gets abducted, and a dragon woman suggests Miku has powers of her own – obviously to be discovered in book two. Miku and her best friend, Cait, battle the bad guys. Two young girls being brave and clever without a hint of pink or glitter on the cover? Hooray! YAY…More reviews are coming in and the news is good 🙂 People are enjoying Takeshita Demons 🙂 YAY!!!! 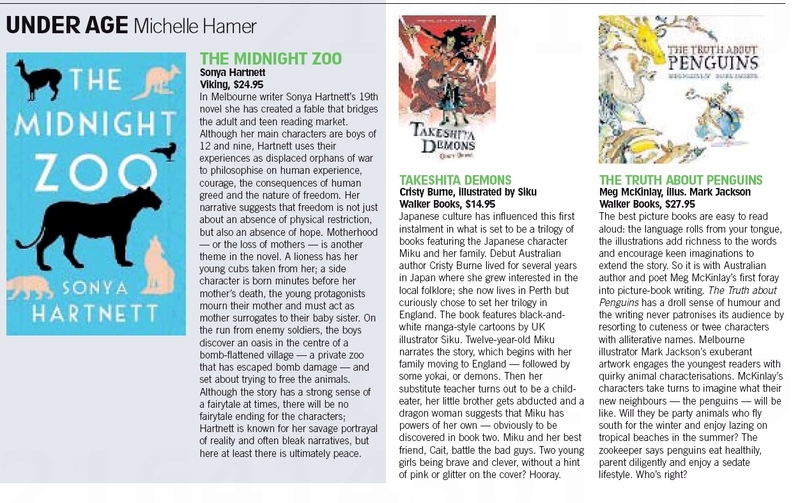 AND…Takeshita Demons was recently reviewed by Nicolette Jones in the UK’s Sunday Times: she named it one of “summer’s best children’s books”. How exciting! and our very own Takeshita Demons! 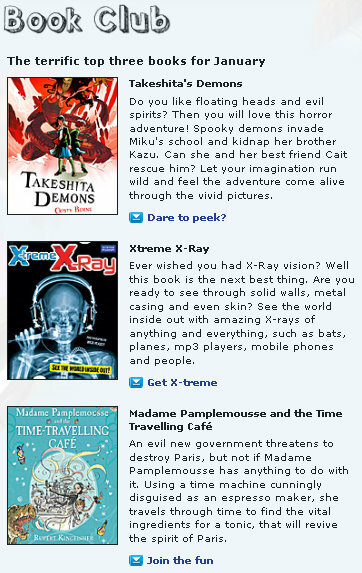 Monsters new to the West are introduced in Cristy Burne’s Takeshita Demons (Frances Lincoln £5.99), the winner of a Frances Lincoln Diverse Voices award, and illustrated in manga style by Siku. It is a pacy horror adventure in which a Japanese girl brings yokai (evil spirits) into an English school, and battles them with her friend in order to save her baby brother. Things get chilling when a supply teacher turns out to be a nukekubi (a child-eating spirit), whose head flies off. Fortunately, there are protective spirits, too. 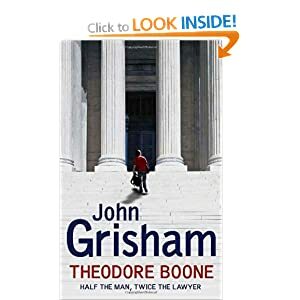 Tags: buy, publicity, review | Permalink. As part of the Booked Up program, WalkTall Media are producing a DVD introducing the 19 books on the Booked Up list. 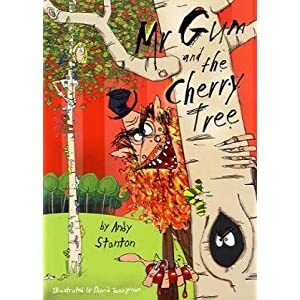 Each book is introduced by its author, then reviewed by a Year 7 student. And to keep things short and sweet, each segment is only 30-40 seconds long. So…I was asked to film myself talking about Takeshita Demons for the DVD. COOL! Have you ever tried to talk about something you love in just 30 seconds? Attempt 1) Australia’s Catalyst team tried to interview me about the LHC Computing Grid while I was working at CERN, in Geneva. I was incredibly nervous and stuffed up so often and so badly they didn’t end up using my bit at all. Attempt 2) An independant documentary-maker came to CERN to do a docco on the LHC and interviewed me about the LHC Computing Grid. As a young(ish) female scientist(ish) I was supposed to be the perfect choice for his documentary, except for one thing: I couldn’t put three words together. Luckily, when it finally came out, they only used about two seconds of my footage. 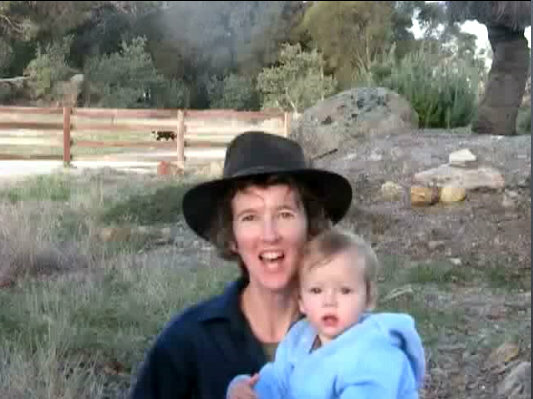 Attempt 4) About three weeks ago we made a short video to congratulate the winner of the 2010 Frances Lincoln Diverse Voices Children’s Book Award (Tom Avery, although I didn’t know it at the time!). Luckily, my fabulous husband was behind the camera, and I knew my ridiculous friends (we **love** your work!!) were somewhere in the background being ridiculous (thank you!). So, we managed to make a colourful video that said what I wanted to say (which was THANK YOU and CONGRATULATIONS! and HAVE FUN!!). 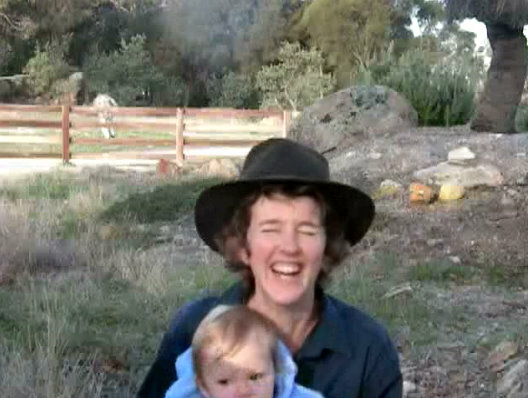 Which leads me to experience #5: Film a 40-second blurb of yourself talking about your book. Easier said than done! Luckily, I managed to locate a fabulous Perth-based cameraman with the patience of a saint (Seb Craig of KBC Films, and I thoroughly recommend him and KBC for being professional, reliable and good at what they do…they were great!) and an awesome location (the Hyogo Prefectural Government Cultural Centre…I am SO grateful to everyone there for their help!). After a grueling session of 50 gazillion takes (and me forgetting my own name for half of them), I sent the finished products to WalkTall Media: fingers crossed they like them. Still, it wasn’t easy: it was a freezing morning, but we had to turn off the heater cause it was affecting the sound (poor Yumiko had to wear a thick jacket and drink hot tea just to stay warm: it was super-chilly!). Plus, the Perth Japanese school has classrooms upstairs, and at once stage the kids were practising their taiko drumming (actually: this was perfect timing for a coffee break :-)). So…fingers crossed the filming we did worked: I can’t wait to see the DVD and meet the other Booked Up authors! Tags: appearances, Booked Up, horror, interview, publicity | Permalink.